xPDFConverter is a tool that allows you to convert PDF to Word, PowerPoint, Excel, ePub, HTML, Rtf, Txt and searchable PDF while keeping the original text, layout, number, hyperlink, etc. With it converting PDF files, including encrypted and scanned PDFs, is easier than ever. 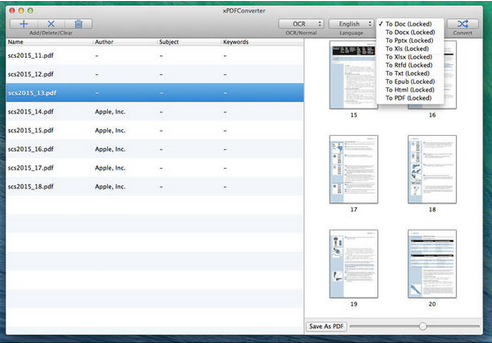 If you need more information please contact the developers of xPDFConverter for Mac (Hui Xiang), or check out their product website.